Well, I want something to indicate that this will be more than just another unnecessary remake. 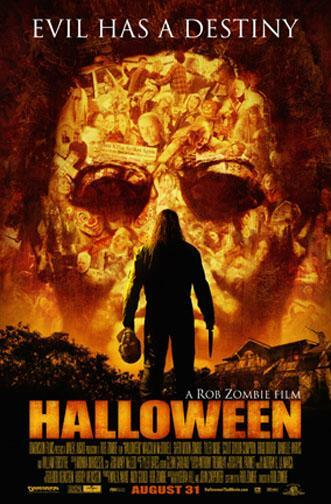 I want a poster that points out what good things Rob Zombie’s Halloween will have that weren’t in the original film. Or at least one that says: “It will be just as good as the original, but it will look better!”. Not very exciting, but it would be something. As it is, the poster does have some interesting elements. Meyer’s apparently isn’t using the mask in it, which I’m guessing is a way of showing that the movie will delve deeper into Michael Meyers, the person, instead of just showcasing the cold, unstoppable assassin persona. The images projected into the mask might be another hint of that. They are a little hard to make out at this resolution, but they might represent a collection of the bad things in Meyer’s that eventually lead him to becoming the masked monster he becomes. Or I could just be reading way too much into it. Overall it’s not a bad poster. It prominently uses one iconic image from the original (the mask) but also sets up some original imagery. I don’t really like the color scheme, and I hate the tagline. But it’s not bad. 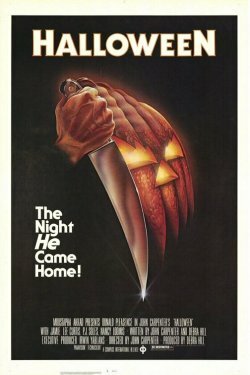 Of course, it doesn’t come close to the original poster, which is a true classic. But then again, I never expected it too.